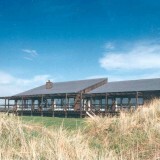 The clubhouse was built for this new 18 hole links golf course in 1994. 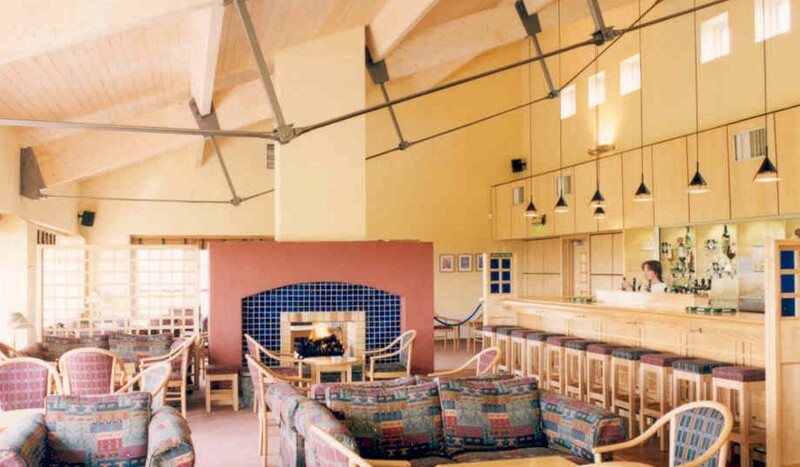 The brief included changing rooms, bar , restaurant, pro-shop and administration areas. The elements of the building were grouped around a small entrance court, an enclosed protected open space contrasting with the surrounding exposed dunescape. The architectural expression is modern rustic, consisting of a series of tiled monopitch roofs. Walls are timber clad springing from battered honey coloured stone bases. 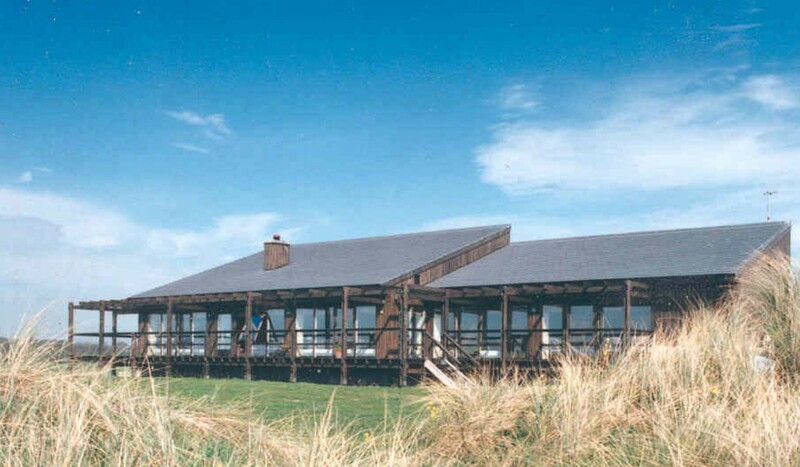 A timber deck extends the bar and restaurant areas to the outside with views over the course. 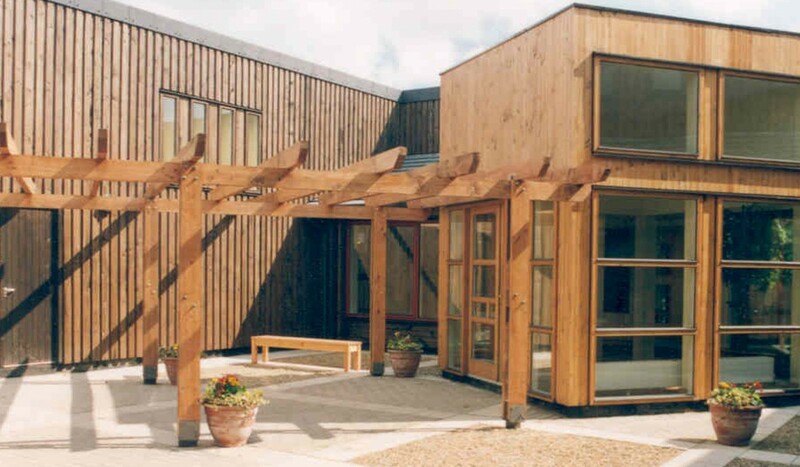 Regional Award – Royal Institute of Architects of Ireland. Winner. 1995.